We all know very well that the tech giant Google is developing a lot of news for Android. Coming to its P version, it’s time to focus on users and give them a proper management of all features. Hence, now according to the latest reports and the tech giant Google, Android P recently won an extraordinary feature, yes, I am talking about the iPhone X-like gesture navigation. The tech giant Google is developing a lot of news for Android. Coming to its P version, it’s time to focus on users and give them a proper management of all features. 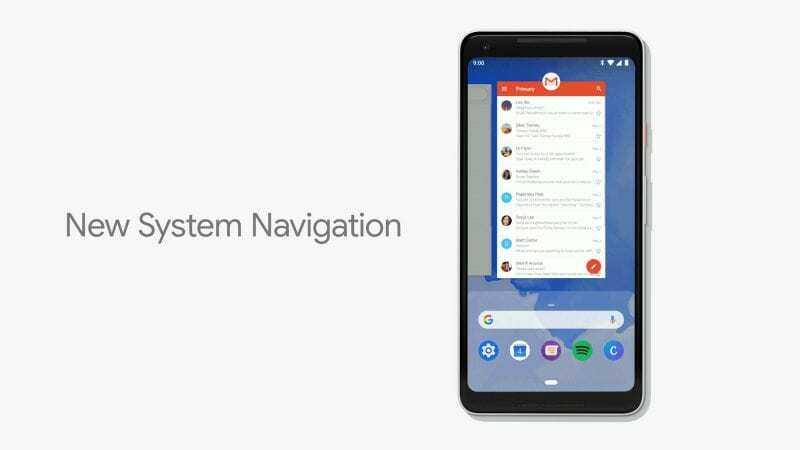 This is what the tech giant Google presented in I/O when announcing the beta version of Android P.
Android P begins to take shape and the tech giant Google is developing this new version to focus on users’ needs, using AI and other technologies to achieve this. That’s why this version will be able to predict what the user needs. With the “Adaptive Battery,” Android P will look to manage power consumption and whenever it detects abnormal consumption, these apps will be turned off and no longer consume resources in the background. There is even intelligent management of screen brightness, which will overlap with what exists today and, for each situation, will decrease or increase that brightness according to the needs and at the same time of the availability of energy. Power consumption will stay focused on the apps that the user really needs and uses, and the tech giant Google has recorded a drop in CPU usage of around 30% in their tests. Another new feature is the presence of gestures to control Android P. With a simple swipe everything will look different and it will be possible to see the recently used apps as well as the ones that the user most uses. A second swipe gives access to the list of applications, as we have today in Android, guaranteed the user to choose. This integration will also be done in removing the physical buttons. Everything will be controlled with gestures on the screen, disappearing the “back” button, which will only be available within the applications.